Parties Could Settle Lawsuits Stemming from Dispute over Apple Value-Added Services Software | NFC Times – Near Field Communication and all contactless technology. 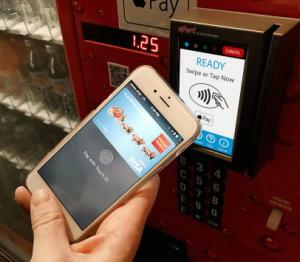 USA Technologies is seeking to roll out card readers on vending machines and other unattended, self-service retail locations supporting Apple's value-added services software. The companies last week agreed to enter into discussions to possibly settle their respective lawsuits, both filed last March. USA Technologies is suing OTI for $4.9 million in damages, while OTI is seeking $2.5 million in a counter-suit. A settlement conference is set for Sept. 15. OTI’s CEO Shlomi Cohen, speaking to financial analysts today following release of the company’s second quarter earnings, declined to comment on the legal dispute or possible settlement of the lawsuits. Article has about 1500 words.